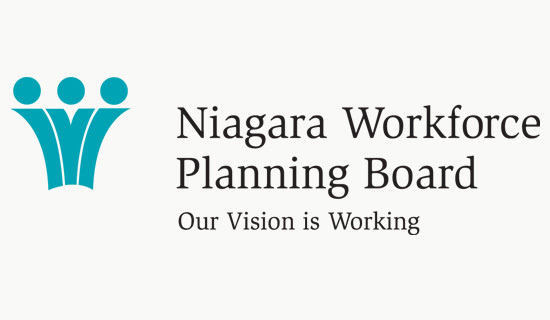 The Niagara Workforce Planning Board is a community-based partnership that champions workforce development. The Board brings together business, labour and community representatives to conduct research, identify labour market trends and chart the direction for workforce development across the region. Pier 8 Group designed a logo that represents this community partnership. The logo incorporates a subtle visual reference to the region’s most famous landmark – Niagara’s horseshoe falls. The selection of turquoise as the branding colour distinguishes it from other organizational brands, like that of the regional government, and conveys a fresh optimistic outlook.